When you apply and wear the Zombie Chest Wound to your skin or costume, people will start to see right through you. They will literally see right through your skin to the red tissue and white bones that lay just beneath. This detailed decoration is made from pre-painted latex that is designed to look as though a portion of the skin on your chest has been removed, allowing everyone to see the red muscle and tissue that lay beneath, as well as the curves of your ribcage. 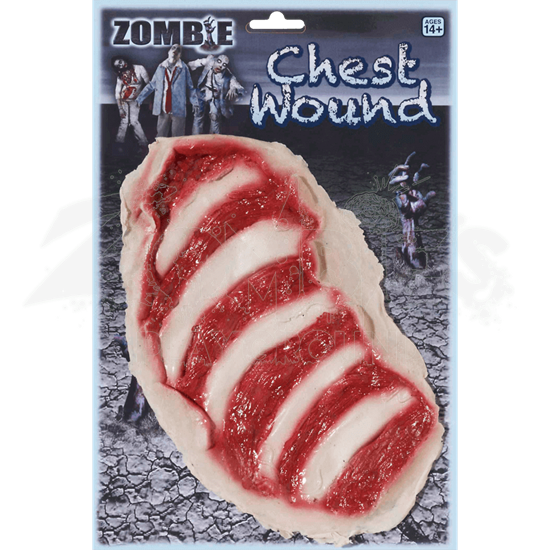 This detailed zombie wound is sized for an adult and can be added to a costume or bare skin, thanks to its adhesive backing. 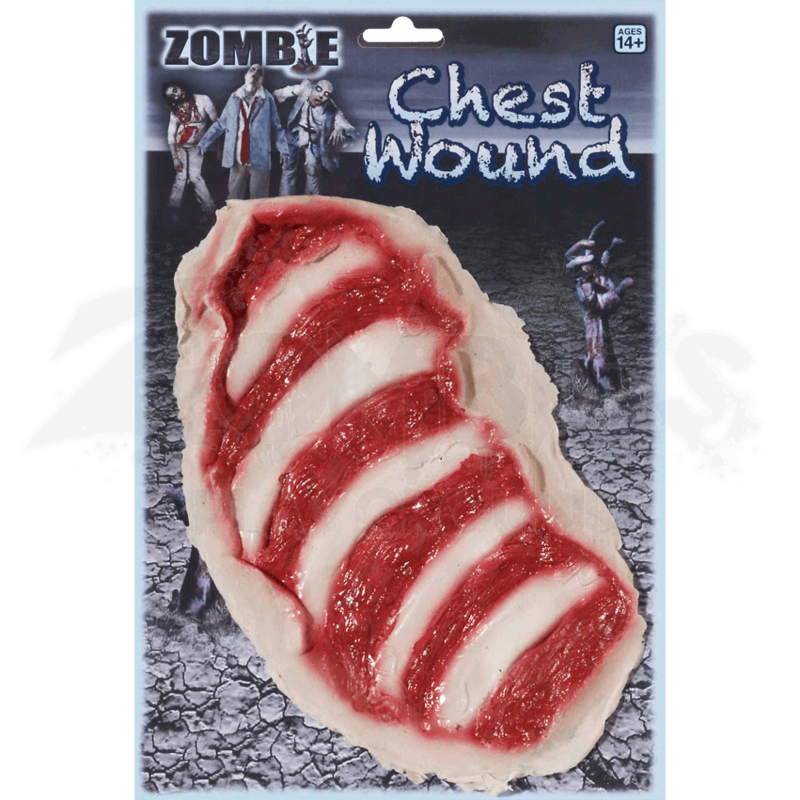 The Zombie Chest Wound makes a fantastic addition to virtually any costume that you think needs to show a little bit more of what lies beneath every zombies surface.